Here at Latti & Anderson LLP, we have said it before, and we will keep saying it until people start to understand: drinking while boating is stupid and dangerous. Doing so not only puts boaters’ own lives at risk, it risks the lives of anyone else around them. Robert Skinner, 46, of Shelton, CT is the most recent example of this kind of behavior. He crashed his boat into the Greenport breakwater last month while he was drunk. The captain of the 24-foot powerboat struck the jetty on a Friday night, and his damaged boat sat in the water until Saturday morning. Mr. Skinner and a passenger boarded another boat and went straight to the nearest hospital, where police arrested him for boating under the influence. He was rightfully taken to jail and held for a morning arraignment. Hopefully, he will receive a harsh punishment that will keep him off the water for a long time. If you or a family member was injured because of a drunk boater, the consequences can be devastating. Latti & Anderson LLP has been protecting the rights of boating accident victims for over five decades. 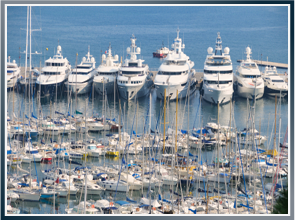 We understand the challenges people face after being hurt in a boating accident. Our nationwide maritime trial lawyers know what it takes to hold the guilty accountable for their actions, and we help our clients recover the compensation they need for medical expenses, lost income and pain and suffering. Call our office today for a free consultation to discuss your situation with a qualified attorney.